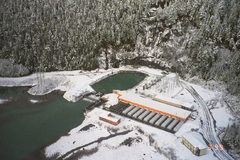 Hydroelectric generating facilities and diesel generators provide a significant portion of the electric power generation in Southeast Alaska. The state and the federal government, as well as certain communities and utilities have developed existing hydroelectric generating plants in Southeast Alaska. 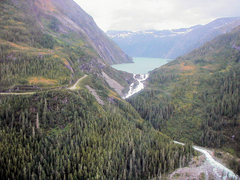 Hydroelectric facilities provide the majority of the power requirement in Juneau, Ketchikan, Sitka, Petersburg, Wrangell, Skagway, Haines, Metlakatla, Craig, and Klawock.1 The largest in Southeast Alaska is the Snettisham hydroelectric facility, providing 80% of the power used by Juneau and Douglas. Built by the USCOE in the 1979s, and sold to the State of Alaska in 1998, Snettisham is operated by Alaska Electric Light and Power under contract with AIDEA. In some communities the hydroelectric facilities are capable of providing electricity in excess of the community load. In response, electric customers in these communities are replacing or supplementing diesel space and water heating systems with electric once. If enough customers convert to electric heating, the surplus electric capacity will dissipate and diesel generators will be needed to meet the load requirements. One method of addressing this issue is interruptible electric space and water heating when reservoir levels are low or electric use is high during the winter. 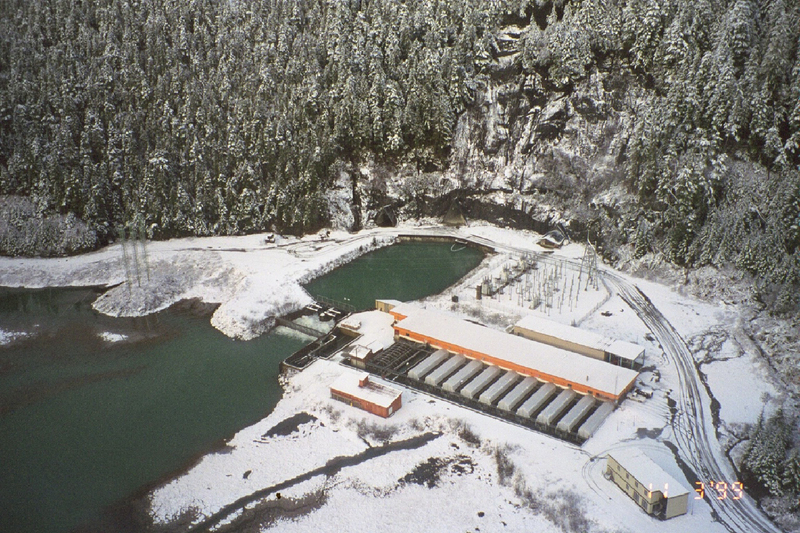 During low water years in Sitka, the utility has had to ask people to heat with wood or diesel2 while it interrupts electric service to electric heaters.3 Transmission line damage from avalanches disrupted the flow of hydroelectric power from the Snettisham hydro project to Juneau for six weeks in 2008. During this period, power was restored using back-up diesel generation at roughly 5x the power sales rate of Snettisham hydropower.